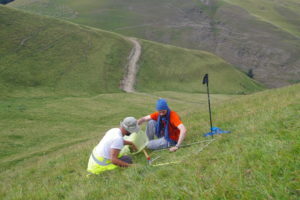 CNF: On behalf of the Caucasus Nature Fund (CNF) ESTOK was hired for the planning, training, field implementation and reporting of the 2016 pasture degradation monitoring program in Borjomi-Kharagauli National Park in Georgia. 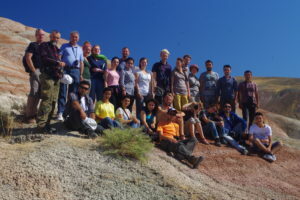 Michael Succow Foundation/ GIZ: On behalf of the Michael Succow Foundation and GIZ ESTOK together with the foundation coordinated and implemented a scientific Azeri-German student excursion to Azerbaijan in summer 2015. Together with the foundation, we also prepared a comprehensive scientific guidebook which will be used by further student groups exploring the Caucasus ecosystems. It can be downloaded here: http://biodivers-southcaucasus.org/uploads/files/5b44b2ebef429.pdf. 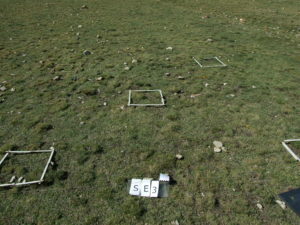 ECO Consult/ GIZ: Within the regional programme “Integrated Biodiversity Management in the South Caucasus (IBiS) / Integrated Erosion Control in South Caucasus (IEC)”, ESTOK has been in charge for the implementation of a geobotanical pasture assessment in Tusheti/Georgia in August 2016. 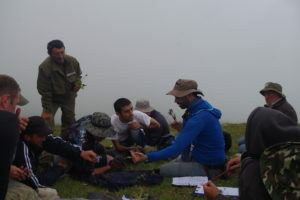 The main tasks of ESTOK’s consultants were training, coaching and guiding the national botanist experts with their fieldwork in geobotanical pasture assessment. The contribution was continued in summer 2017. GIZ: In April 2017 ESTOK contributed as moderators of working groups in the “International product innovation workshop aimed at increasing competitiveness of the former German settlements in Azerbaijan as a destination for international niche target markets” organized by GIZ (programme “Private Sector Development and TVET in South Caucasus”) and Azerbaijan Tourism and Management University. The experts of ESTOK emphasized the importance of the rich natural and cultural heritage of the South Caucasian Countries for tourism development. 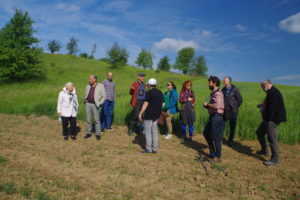 WWF: In June 2017 a study tour through Germany was organized by ESTOK for a team of nature conservation experts from Armenia, Azerbaijan and Georgia, who work on the “Eco-corridors Programme in the Southern Caucasus”, implemented by WWF Caucasus Programme Office with funds provided by the German Federal Ministry for Economic Cooperation and Development (BMZ) through KfW Development Bank and by WWF Germany. The purpose of the study tour was to see practical examples of partnerships between nature conservation, farmers and local communities, in grassland, forest and wildlife management. Amongst other sites, the Rhön and Schorfheide-Chorin Biosphere Reserves as well as Oder National Park and Barnim Nature Park (http://www.naturparkmagazin.de/barnim/kaukasische-naturschuetzer-machen-sich-mit-erfahrungen-des-hobrechtsfelder-waldweideprojekts-vertraut/ ) were visited. GIZ: Within the frame of the GIZ programme “Integrated Biodiversity Management, South Caucasus (IBiS)” until November 2017 ESTOK is in charge to mobilize biodiversity information from Azerbaijan that has been collected mainly by parties from Germany. In focus are extensive data collections since 2002 for final theses (diploma, Ph.D.) by students of the University of Greifswald, for projects of the Michael Succow Foundation and during other campaigns. By storing and publishing quality-controlled data in publicly available databases, the goal is to make this information available to the international and Azerbaijani scientific community and Azerbaijani administration like the Ministry of Ecology and Natural Resources. A young scientist from Azerbaijan is visiting Germany in October to support the team of ESTOK. 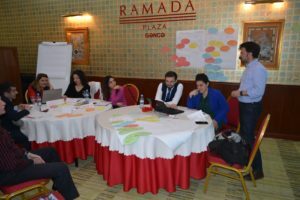 Through this knowledge transfer it is intended to encourage similar sharing of biodiversity information collected by Azerbaijani institutions in the future.